Science may be one of the most hands-on subjects at school, but making it accessible isn’t always easy. 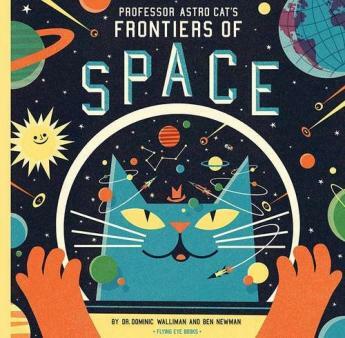 We asked the experts how to channel your child's natural curiosity into a life-long interest in the world around us and how it works. For this generation of children, it’s highly likely that their future will – in some way – involve science. According to the National Careers Service, 70 per cent of all businesses employ people with science, technology, engineering and maths skills, and many are struggling to recruit the staff they need. Getting kids to engage with science isn’t always easy, though. While they almost universally love getting stuck into experiments and practicals, the theoretical side can be trickier to master. 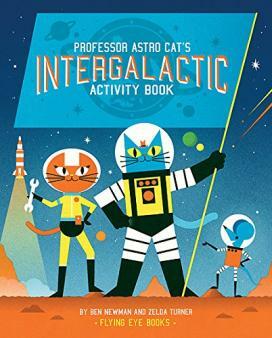 But encouraging an early enthusiasm for the subject is vital: ‘There’s much evidence that children’s interest in science is shaped before they leave primary school,’ says Debbie Jones, Fellow of the Primary Science Teacher College. Part of this responsibility is up to schools, but, as a parent, there are lots of great ways to develop your child’s passion for science. We asked six experts for their best ideas. ‘If you can make science relevant to primary school kids’ lives, you have a fighting chance of them remembering what you’ve told them, sharing the information with their mates, and lighting a little spark of interest that may just start the fire of fascination with science. ‘All of science is a big detective story where all the clues are out there, but it just takes some putting together. 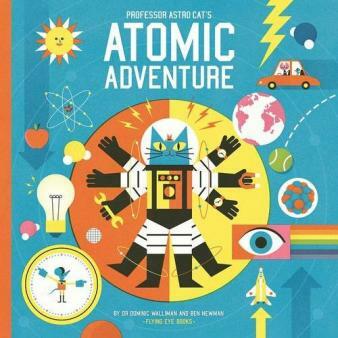 I write the Professor Astro Cat books – which cover everything from atoms to space – to help unlock children’s passion for science by piquing their curiosity and giving them some mind-blowing facts about the world. ‘The garden is a brilliant place for your child to learn about biology. You can search for minibeasts, collect and observe them with a magnifying glass, or watch the changes as a tadpole turns into a frog. Making a wormery is always popular: cut the top off a two-litre plastic bottle, fill it with alternate layers of sand and soil, and cover the top with dead leaves and four teaspoons of water. Put two or three worms in the bottle, then cover the sides with dark paper and the top with cling film with air holes in. Add a little water each day, then after two weeks, take the paper off and see what the worms have done. ‘Always put creatures back where you found them after an experiment or observation. ‘The problem with science at primary-school level is that very few teachers are science specialists: they tend to be diverted towards secondary schools. That’s why joining a science or technology club run by someone with a science background can be a huge benefit to children. They generally can’t wait to get on with the practicals and experiments. ‘Primary school children need to be allowed to explore and investigate as part of their learning – so instead of simply being told about the conditions plants need to grow, they can be outside, planting, watering, observing changes and extending their knowledge through their own curiosity. This kind of investigation often takes too much time to manage in the classroom so it’s great if parents can get involved. ‘Our free ebook pdf is called Don’t Eat Your Slime for good reason: children are naturally interested in things that are messy and disgusting, and there are lots of opportunities to embrace that in science. ‘Messy play like making slime, playing with bubbles and making sweets is always a winner with children. Doing practical stuff with them, particularly experiments that use things that they see and use in everyday life, shows them how science is all around them.